It's becoming increasingly difficult for smartphone manufacturers to keep a secret these days, as has been the case with companies like Apple, Nokia and now HTC. Reports and rumors about the HTC One Mini have been circulating for what feels like ages, yet the Taiwanese firm has yet to officially announce the diminutive version of its flagship device, the HTC One. Even if the HTC One hasn't been as big of a sales boon as the company had hoped, more clues provided by none other than the official HTC blog give credence to the thinking that a slightly smaller One is on the way. 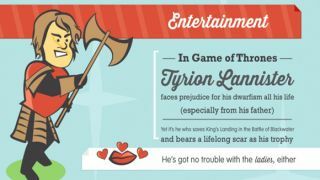 On Monday, HTC published a blog post titled "Little Things That Pack a Big Punch," and offered an infographic with an assortment of clever factoids featuring pint-sized powerhouses. Reports suggested the post was pulled at some point in the day, but now it appears to be back up for good. Curiously, the main blog page doesn't list the entry, but you can get to the image directly with the link we've included here...and below, if you didn't notice. The post first discusses the success of the HTC One before offering an explanation to the infographic sporting examples of lilliputian achievements. "This success has only boosted our passion to bring the One experience to as many people as possible. In that spirit, here's an homage to little things that back [sic] a big punch," global community manager Darren Krape wrote. In addition to finding examples of Davids capable of Goliath-like feats such as the Trinidad Scorpion Moruga pepper, Spud Webb and Tyrion Lannister, the image offers the idea that "maybe smaller can be better." Based on what we know so far, the HTC One Mini would feature a 4.3-inch 720p screen, 2GB RAM, and a Qualcomm 1.4GHz dual-core processor, which would make it fair competition for the Samsung Galaxy S4 Mini yet still pale in comparison to its bigger brother. HTC closed the post asking if readers could think of anything else that packs a big punch into a small package, and we've certainly got one answer on the tip of our tongues. Will the HTC One Max arrive this fall to take on the Galaxy Note 3?